Oxbow Park is going to be one of the newest additions in Breckenridge. Originally named River Park and located near the Breckenridge Recreation Center, the Oxbow Park has some big plans. The Oxbow Park site sits along the shore of the Upper Blue River and is envisioned to be both a destination for guests and an asset for locals in Breckenridge. The Town of Breckenridge adopted the Blue River Corridor Improvements Plan in 2008 but plans to improve the Blue River corridor dates back to at least 2002. A document that describes a series of small parks along the river in Breckenridge, including one called “Oxbow Park” with a manmade U-shaped curve was included in this plan. Oxbow Park was originally envisioned as one in a series of parks along the Blue River. It has since been revised to instead stand-out as “signature” town asset in the area. Altogether, construction on phase one of Oxbow Park is expected to cost between $1.1 million and $1.5 million. The town’s Open Space Advisory Commission has contributed $240,000, in addition to The Great Oudoors Colorado (GOCO) grant. 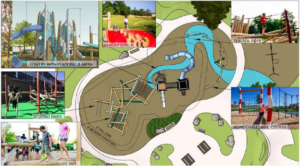 Last spring GOCO announced it approved $350,000 in grant funding to Breckenridge— the full amount requested by the town — for creating “a unique nature-play park” on the Blue River. GOCO awards money from the Colorado State lottery to boost projects designed to preserve or enhance Colorado’s parks, trails, wildlife areas, rivers and open space. GOCO has identified Breckenridge’s park project as one of the top requests in its 2017 competitive-grant process. Since its creation, GOCO has committed over $1.1 billion to more than 5,000 projects across the state — all without taxpayer support. $7.6 million has gone to projects in just Summit County, and $1 million of that has been spent in Breckenridge. The money is helping to preserve 1,300 acres in Summit County. The Town of Breckenridge is expected to re-apply for another GOCO grant for phase two. The grant for River Park comes with a two-year window to complete the project. Oxbow Park ranks high on GOCO’s list for a variety of reasons; including the project being shovel-ready, its access to the river, focus on a new nature-play concept and close proximity to nearby workforce housing developments. 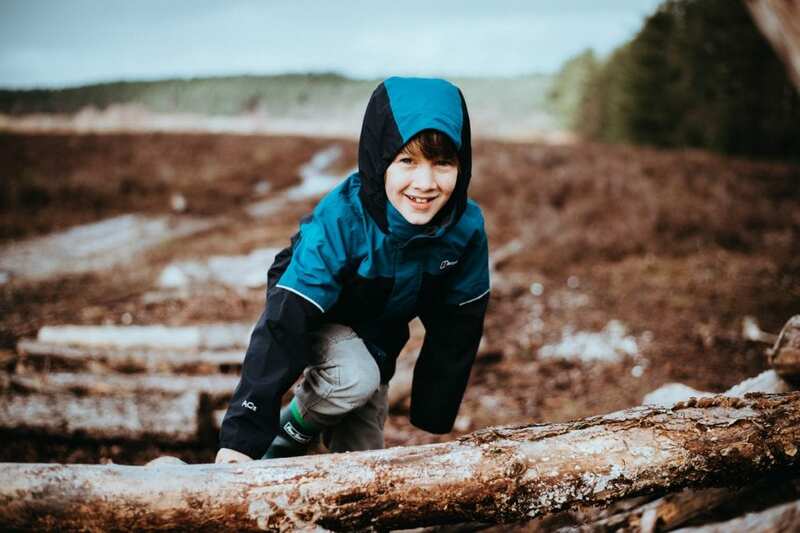 The idea behind a nature-play space is that people can incorporate the surrounding landscape and vegetation to bring nature to children’s daily outdoor play and learning environments. The Oxbow Park is being “artfully designed with a nature-based environment” that is unlike anything else in Breckenridge. Construction should begin this spring (2018). The park is being done in phases, and the first phase should go pretty quickly with work expected to be complete by fall. Phase one will include much of the park’s infrastructure and hardscaping, such as restrooms, a pavilion, walkways to nearby workforce housing, a bridge connecting the park to the recpath and the main playground feature for children ages 5-12. Phase two will boost the park’s offerings for toddlers, access for people with disabilities and a pleasant place for fishing. For more information about the current play parks for kids in Breckenridge, Colorado click here.